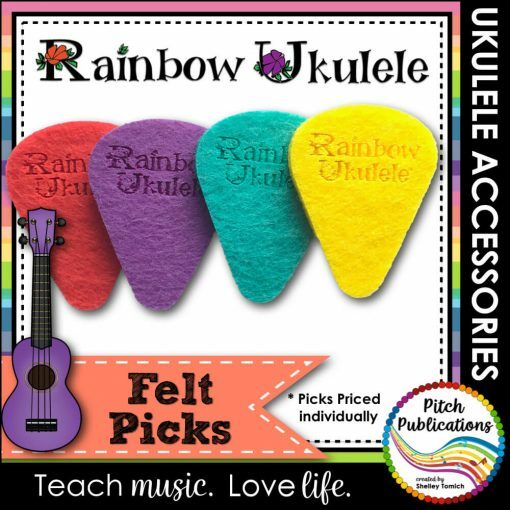 Felt ukulele picks perfect for the elementary music classroom. 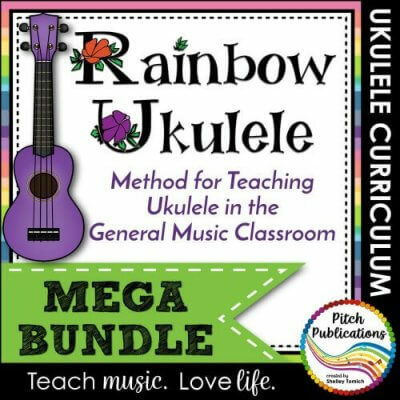 *Note: This is NOT included in the Rainbow Ukulele Bundle (that includes the Teacher and Student edition). 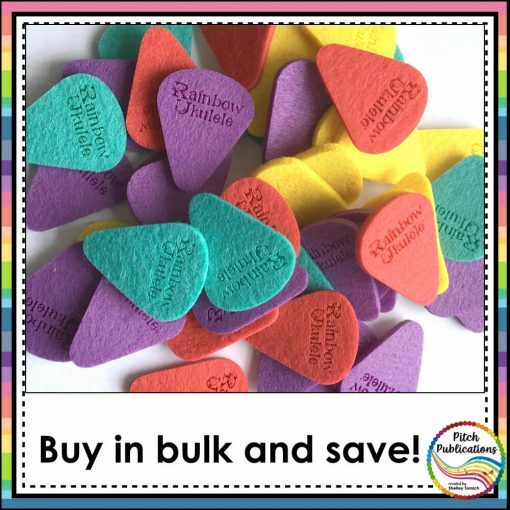 Picks are priced individually. Discounts available for bulk purchase! 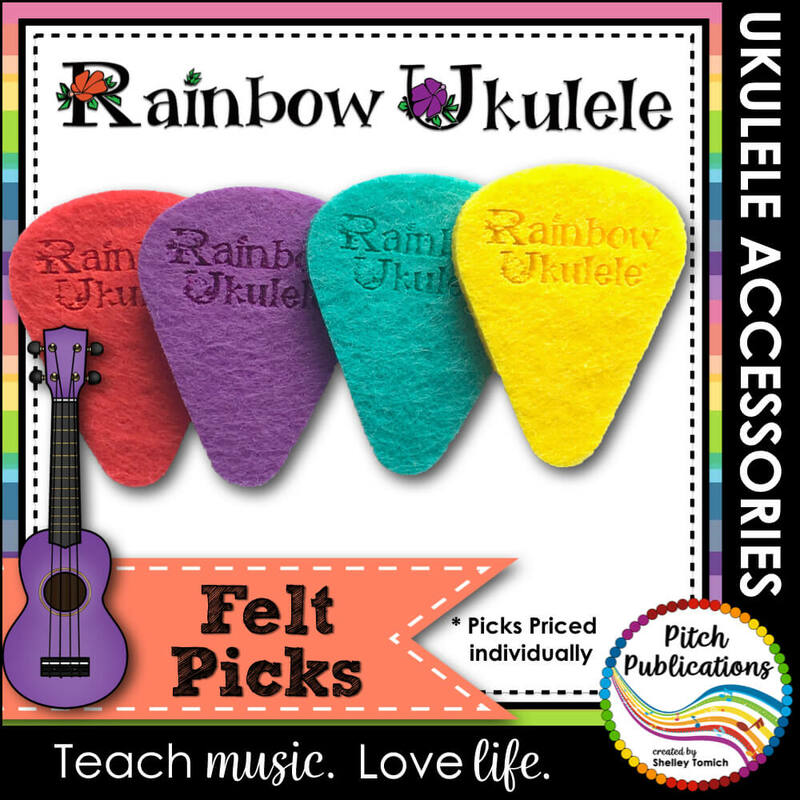 These felt ukulele picks are perfect for the elementary general music classroom! 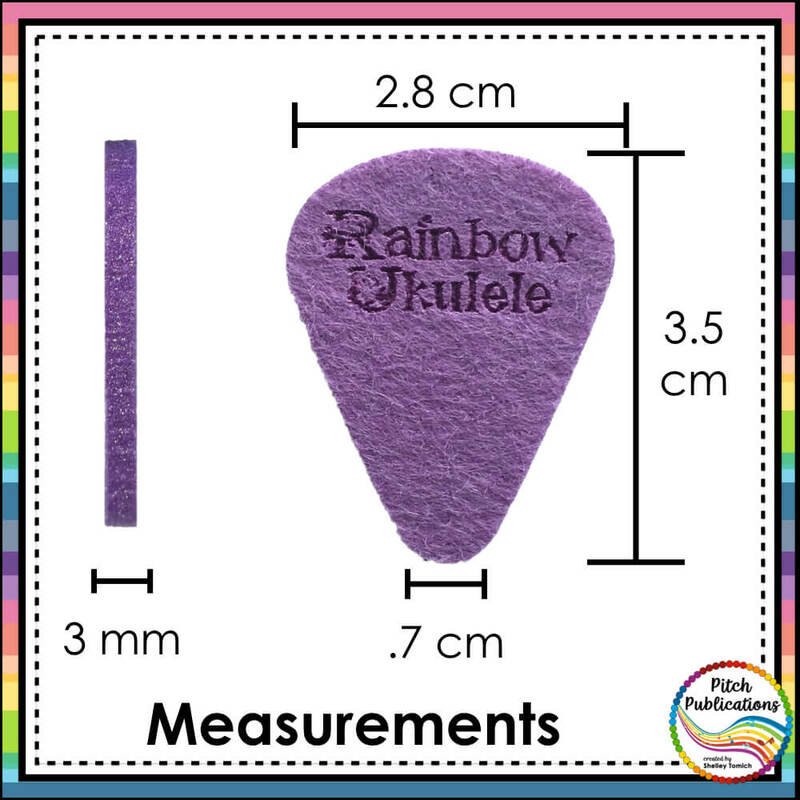 They are made from a soft pressed felt and are available in four bright colors – yellow, purple, red, and turquoise. 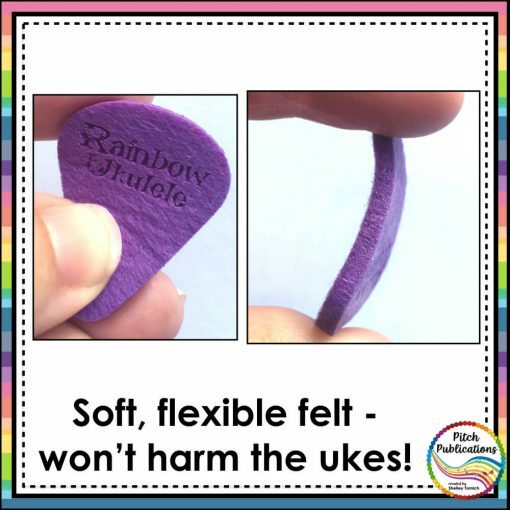 The picks are very soft and flexible. 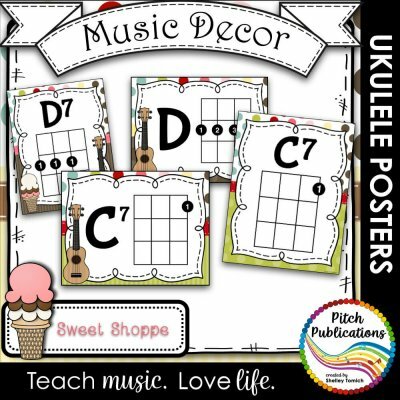 Students love using picks when first beginning to give their fingers a break. 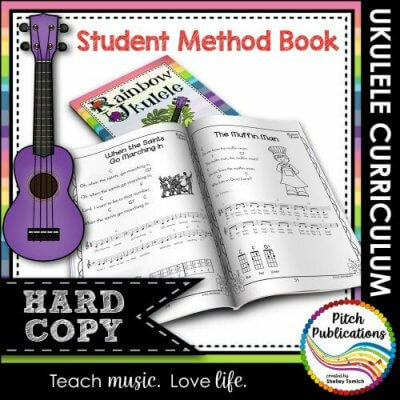 Eventually, you and/or your students may continue to move forward without picks. Note: Picks are priced individually. Great quality and colours. The service was quick and problem-free! 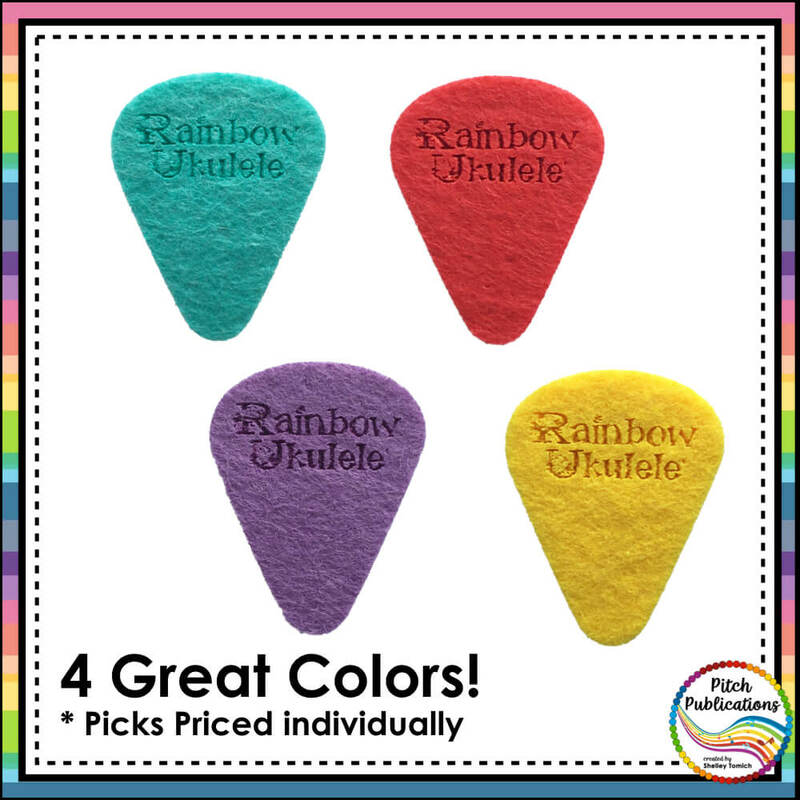 These picks are perfect and they come in such fun colors! Outstanding! 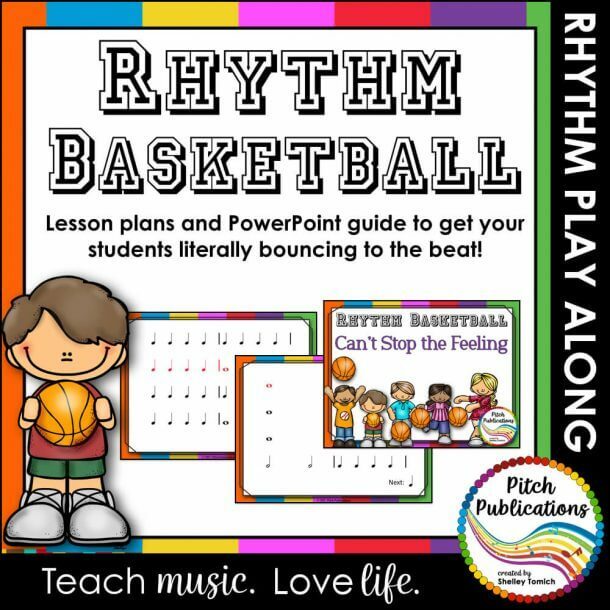 And….my students loved the picks. Thank you very, very much! These picks were great, and the kids loved them! I stiffened up 3 including mine with Shelley’s recommended process, and it helped, but I noticed mine started to get soft again on the tip of the pick from strumming. If the felt were slightly firmer, it would be perfect! Thanks for the feedback Joelle! Very good quality. Had a special request of all one color & it was filled without a problem. Quick shipping too. I think these make the sound quality better as compared with plastic pics. Plus they are more comfortable to hold. Love them! In the continental US, shipping generally takes 3-5 business days. Add 3 days for Alaska or Hawaii. Shipping to Canada or Australia can take 30 days or more depending on customs.